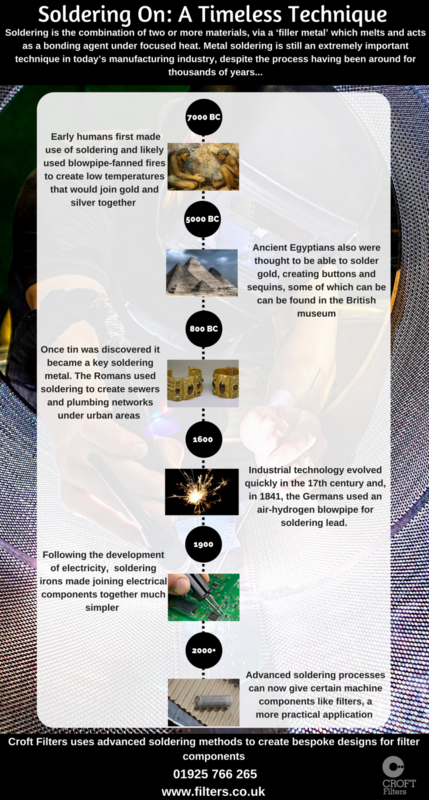 Croft Filters, a leading manufacturer of bespoke filtration components, has created an educational infographic on the history of soldering – highlighting the importance of the technique. 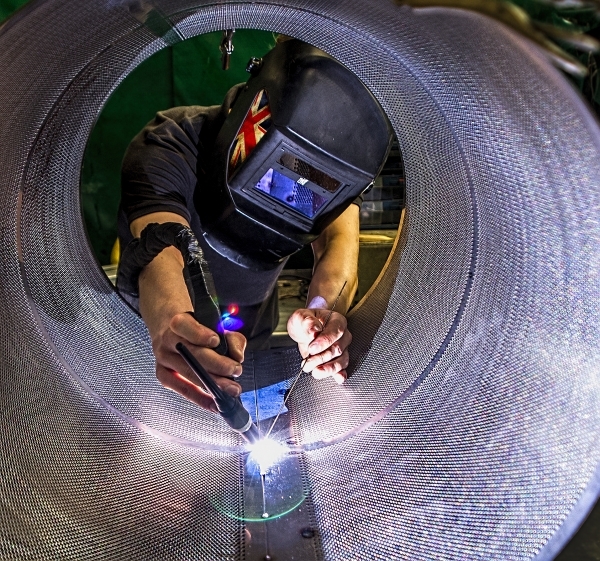 Soldering is, of course, the process in which two or more objects are joined together by carefully melting a filler metal into the space between the two adjoining materials. Surprisingly, this technique has been around for thousands of years. The process may even have been employed by early humans over 9000 years ago. The world’s first metal workers would join gold and silver pieces together through the use of blowpipe-fanned fires, which created temperatures high enough to melt filler metals. It is also thought that – in around 5000 BC – the Ancient Egyptians used a primitive version of soldering to create decorative buttons and sequins. Following this – around 4,000 years later – the Romans would incorporate soldered metals into their revolutionary underground plumbing networks. Today, metal soldering is an important technique used within the global manufacturing industry. Advanced soldering processes can now give bespoke machine components, such as filters, a more practical application. By examining the origins of this timeless technique, we can understand how soldering has grown to be an essential modern production process, within certain niche sectors.